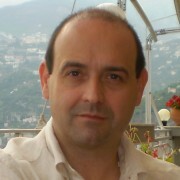 Antonio, with over twentyfive years experience in Electronics, Telecommunication and Computer science is the founder and CEO of Seeweb an italian leading company in datacenter and cloud computing infrastructural services. He also is current president of Hosters and Registrars Association, member of the technical comittee and of the board of directors at Rome Nautilus Mediterranean exchange (Namex), member of the ccTLD steering comittee (CIR) of .IT registry at IIT-CNR in Pisa. Antonio is also committed in business creation and development of startup and young companies related to internet and cloud computing enviroment through investing, business angel activities and industrial relationships.